Strategy Games that could steal hours of attention. 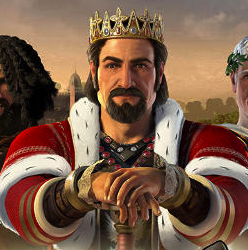 The players of the strategy games will often find themselves in leadership positions, maybe running a business like a tycoon, leading an army, being a king and so on. The obvious task for the players will be to use their strategy making abilities to make things better for themselves and for those who look up to them as their leaders. In some games the players will be seen using their strategies to do good for themselves alone. These games are not the easiest games to play but they can be genuinely engrossing. We recommend that you try our selection of bloons tower defense or papa louie games.